The company says it has found broad zones of the critical metal at the Brazil-based nickel-cobalt project. Centaurus Metals (ASX:CTM) has found broad zones of scandium mineralization at its Itapitanga nickel–cobalt project in Northern Brazil. The zones were discovered after the company extended the assay program for its recent reverse-circulation drill program to include ICP analysis. The decision was prompted by the identification of scandium mineralization in metallurgical testwork samples and by the quality of processing results. Centaurus has now added scandium to the project’s exploration target. The company says it comes in at 35 to 45 million tonnes at 0.8 to 1.1 percent nickel, 0.07 to 0.12 percent cobalt and 18 to 30 g/t scandium. The estimate comprises 280,000 to 495,000 tonnes of nickel, 24,500 to 54,000 tonnes of cobalt and 965 to 2,065 tonnes of scandium oxide. The extended drilling also found precious metals mineralization, including gold and platinum-group metals (PGMs). Drill hole ITAP‐RC‐18‐076 displayed the best PGMs results with 4 meters at 0.42 g/t PGMs within a broader zone of 17 meters at 0.21 g/t PGMs. Gold intersections were found at the northern target, including 1 meter at 0.35 g/t gold in hole ITAP‐RC‐18‐025, and 1 meter at 0.27 g/t gold in hole ITAP‐RC‐18‐003. At the westernmost hole of the southern target Centaurus reported 2 meters at 0.31 g/t gold in granitic saprolite in hole ITAP-RC-18-064. Centaurus Managing Director Darren Gordon highlighted the addition of scandium to the project’s exploration target in a statement. “We can now consider scandium as a valuable by-product to the nickel-cobalt product stream at Itapitanga,” he said. 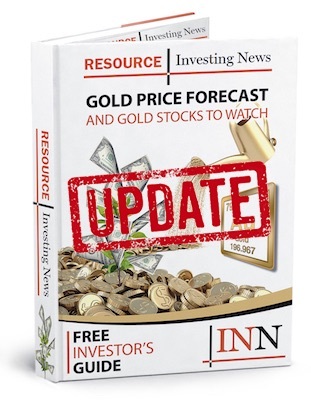 “The scandium mineralization would be mined and processed together with the nickel-cobalt mineralization and has the potential to be a material by-product credit given the strong recoveries seen in the initial metallurgical testwork program and the price currently being reported,” he added. Global annual scandium supply and consumption are very low at just 10 to 15 MT, but the metal has exciting applications that could come into play if miners are able to produce it in larger quantities. A key challenge in mining scandium is that it typically occurs in low concentrations, making it difficult to extract economically. However, some market watchers believe scandium has incredible potential and are eager to see companies move forward with projects related to the critical metal. Going forward, Centaurus will continue to test the areas that the reverse-circulation rig could not access, such as wetlands and vegetated areas at the site. It has already applied for drill permits in those areas.